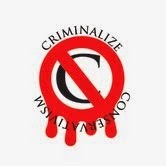 Criminalize Conservatism: There's Another Pestilence Infecting Us, And It's Called "Conservatism." There's Another Pestilence Infecting Us, And It's Called "Conservatism." 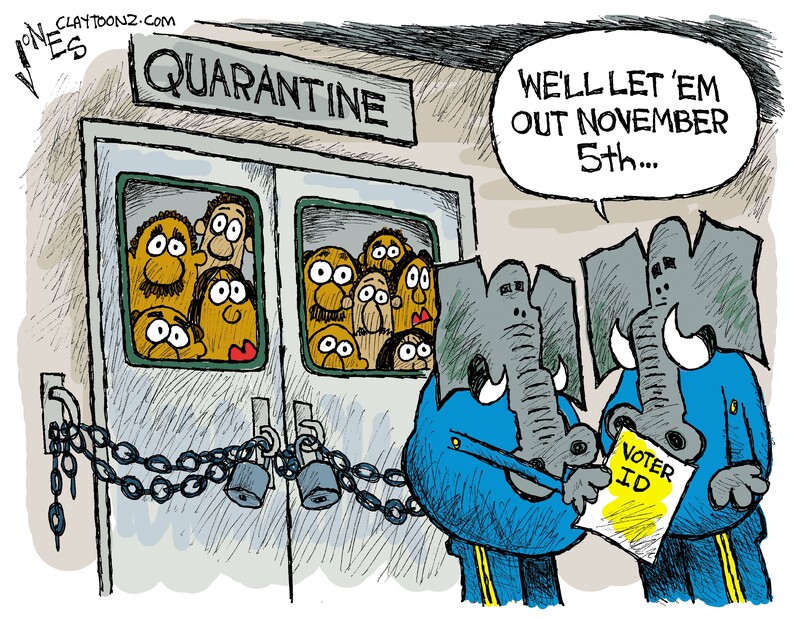 In the background of the Ebola scare, another plague is infecting the polity...and it's called Conservatism. "Texas Republican Greg Abbott Met Border Militia Leader Days Before His Arrest For Explosives." "Greg Abbott is pallin’ around with terrorists. No, not Ted Nugent, another one. Border militia leader K.C. Massey, 48, briefly met the Texas gubernatorial candidate Greg Abbott four days before he was arrested on federal weapons charges. Don’t they look good together in the photo? "Massey was charged last week with possession of a firearm by a convicted felon..."
...and the Conservative diseases are a thousand times more extreme. "Alison Grimes Is Suing Mitch McConnell For Voter Intimidation Tactics." "Kentucky Democrat Alison Lundergan Grimes’s campaign has filed a lawsuit to stop Sen. Mitch McConnell’s campaign from distributing a mailer that gives the appearance of illegal voter intimidation tactics. "On Friday, the Grimes campaign filed for an immediate injunction with the state court in Franklin County, Kentucky..."
...and it takes all sorts of Conservative insects to spread them. ...and others are secular enough to quarantine us when they think we're "sick." But we have to isolate the Conservative disease, or we're all doomed. 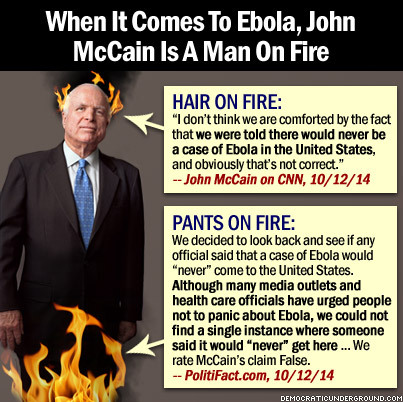 Conservatives even found a way to attack President Obama For Fighting Ebola. Obama Derangement Syndrome Is Alive and Well. The infection of our democracy by Conservatives has been around for quite awhile now, and it's time to apply some of our knowledge of their extremism to curing the disease called Conservatism. When millions die, when tens of millions are robbed, and even more are thrust into misery, it's way past time to act. Let's start by criminalizing Conservatism. facts, reason and the truth." AL GORE, fundraising letter, Aug. 20, 2007.